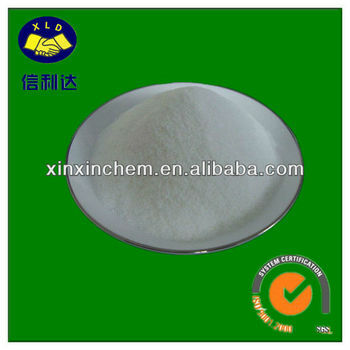 Used as bleaching agnet, as reducing agent,photographic developer etc. Sodium Bisulfite will be packed in N.W25kg plastic woven bag lined with PE liner,or 500kg/1000kg/1100kg/1200kg jumbo bag. 20MT-25MT will be loaded in 1*20'FCL container. Sodium Bisulfite is white monoclinic crystalline powder with sulfur dioxide odor; relative density: 1.48; very easily soluble in water; can be decomposed when heated; slightly soluble in ethanol; aqueous solution is acidic; has strong reducing property; can be oxidized in the air or loose sulfur dioxide. Sodium Bisulfite is used in the bleaching of cotton textiles; as reducing agent in dyes, paper-making, leather, chemical synthesis; in the manufacture of pharmaceutical intermediates, photographic developer, food bleacher, antiseptic and anti-oxidants. 20MT-25MT will be loaded in 1*20’FCL container. Sodium Bisulfite should be stored in cool and dry place, avoid moisture and heat. No breakage, No mixed with oxidant and toxic matter. The storage period is 6 month since the production date. It should be transported by clean car, with covering matter, avoid raining.